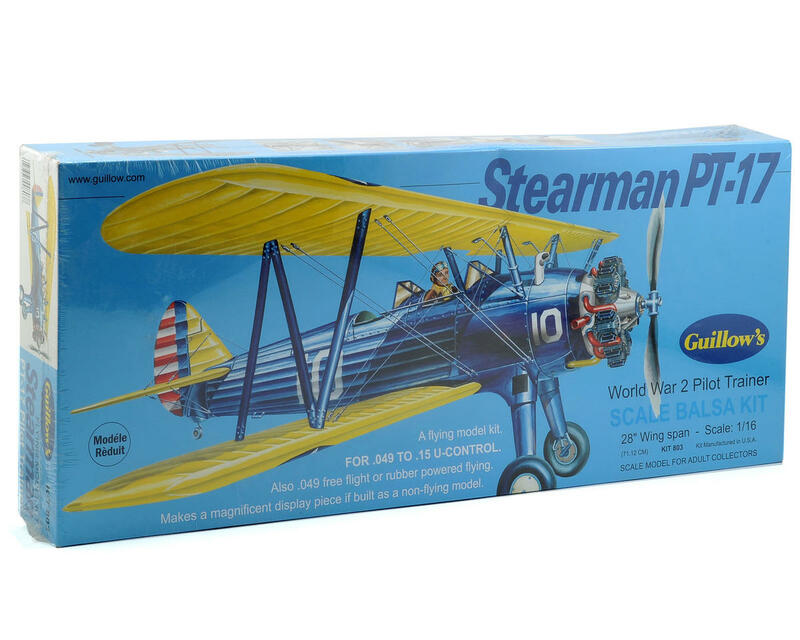 This is the Guillow's Stearman PT17 Flying Model Kit. The majority of U.S. pilots of World War 2 received their primary flight training in the famous Stearman Trainer. This excellent 2-place biplane was known as the PT-17 when delivered to Army flight training centers. The Navy designations were N2S-1 and N2S-4. Nearly 3,000 were built in the 1940-43 period and, in the post war era and up to modern times, the Stearman Trainer has been successfully used as a stunt plane and crop duster. 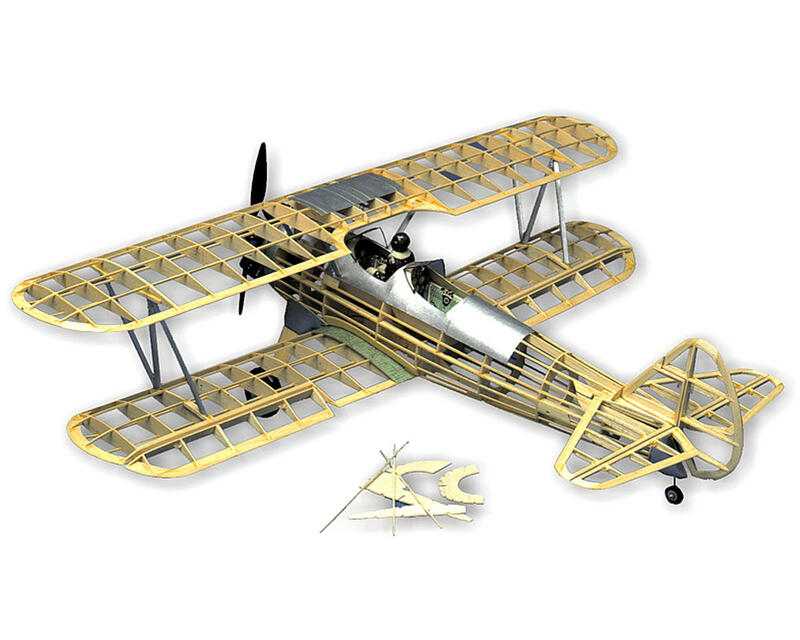 Guillows models are designed to teach a builder with little or no experience in model airplane building. Guilows Build-N-Fly models are ideal for individual use or for group model building such as in scouts or a school class. This kit can be used for .049 to .15 U-Control applications, as well as 0.49 free flight or rubber powered flying. This kit also makes a great display piece when built as a non flying model. Dumas Boats DH C-2 Beaver, 30"